Contemporary hemp home interiors, hemp shower curtains & bags. Retail/ trade welcome. 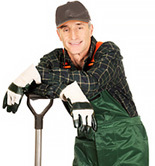 Reliable gardening maintenance service in Brighton & Hove area since 2005. Free estimate for any job, large or small. The biggest and best Garden Links website! Categorized resource directory for everything about garden talk. The largest range of fruit trees for sale in the UK. Website includes database of information hundreds of fruit varieties and online ordering.